Power: Richard II's fall from power can enlighten us. Trust: Draw on the experiences of King Lear and Othello. Decision: Hamlet illustrates the dos and don'ts of decision making. Action: See why Henry IV was effective and Henry VI was not. 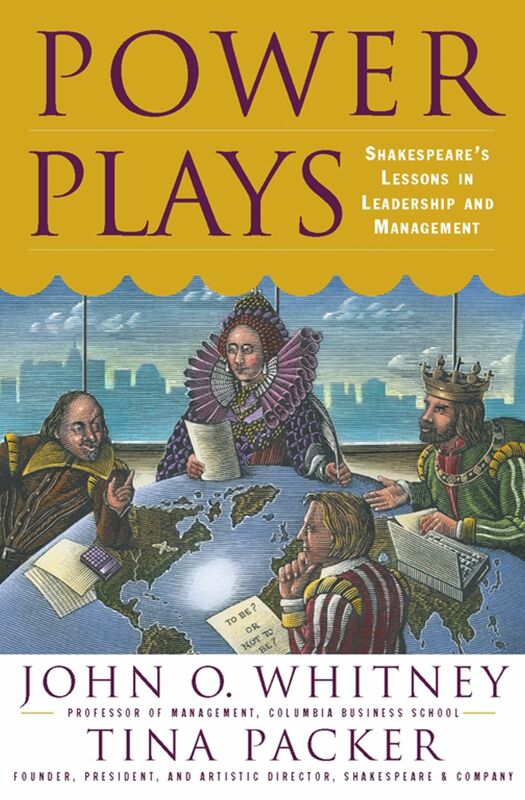 Whitney and Packer do not simply compare Shakespeare's plays with management techniques, instead they draw on their own wealth of business experience to show us how these essential Shakespearean lessons can be applied to modern-day challenges. Power Plays infuses the world of business with new life -- and plenty of drama. Fred Andrews The New York Times A pleasurable and instructive book. They give us an engaging testament on practicality and morality in business, richly illuminated by instances from Shakespeare, all expertly dissected. Cecil Johnson The San Diego Union-Tribune Power Plays should be on the reading list of every corporate leader, every person who aspires to be one, and everyone who wants to find his or her niche within a corporate pyramid and be an effective member of the team. Robert W. Lear Chief Executive Marvelous...does a superb job of analyzing and interpreting Shakespeare's writing and correlating his observations to modern business leaders.